This is my absolute favorite meal to eat. Egg in a Cup!!! I actually run around the house singing egg in a cup bup bup bup egg in a cup. that is how excited I get when I make this simple dish. This is another dish I modified from the Hungry Girl Cookbooks. I am not a big fan of oil, butter, low fat butter flavour spray so when i am able to avoid this ingredient I do. 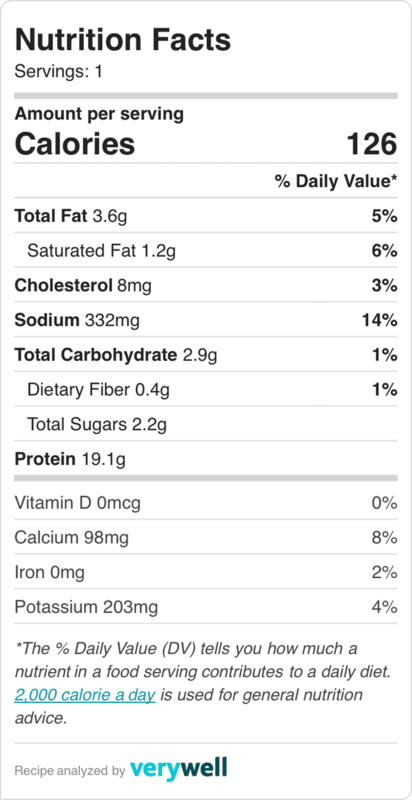 This entire recipe is 2 weight watcher points (old) so feel free to add a side like a nice bowl of fruit or what ever your heart desires. 1 chopped green onion stem or any other veggie you might like such as onions mushrooms or peppers. Put 3 egg whites in a microwave safe mug it has to have some depth to it as the egg whites will grow and can spill over the cup. 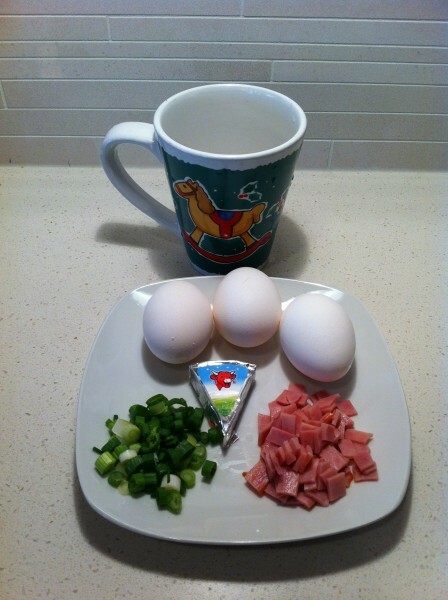 The christmas mug in the picture above is my dedicated egg in a cup mug it’s the perfect shape and size. 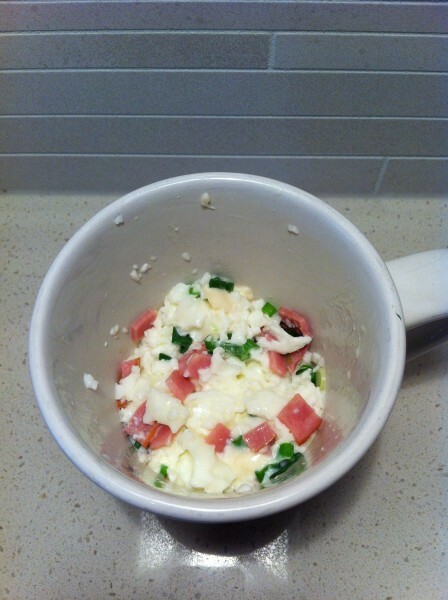 Place mug in a microwave and cook 20 seconds at a time until the egg whites are cooked. Stirring occasionally. 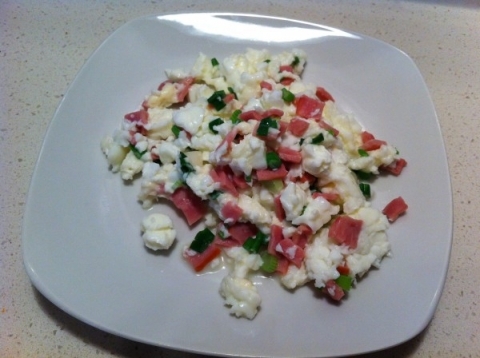 Add the chopped green onion, laughing cow cheese bits, turkey bacon and stir until nicely combined. Place in microwave for another 15 seconds to set, remove and enjoy. Note: It’s a good idea to soak the mug in some hot water once your done so the egg is easier to wash off the mug. The plate used in the picture is the same plate used in the first picture above. It’s quite a lot food for a low point value. I will have to try this will bell peppers sounds like a yummy addition. I have added salsa and a bit of taco seasoning for a mexican flare. My Hubby went one step further and added left over chicken once. Smelt delicious. Yes, you can use regular eggs as well. My husband makes his egg in a cup with the full egg. Just make sure you watch the microwave when cooking as the time will vary. Best to cook at 15 second intervals until fully cooked.